Our vast industry experience and expertise enable us to manufacture a commendable range of Rubber Bellows. Developed at our state-of-the-art infrastructure facility utilizing NBR, SBR, EPDM, CR and silicone, we aim to attain highest benchmarks of quality. 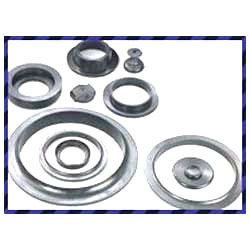 Find their wide usage in tie rod ends and axles, control cable, suspension joints, steering systems, exhaust system, tractors and heavy vehicles and brake systems, our offered bellows are appreciated. 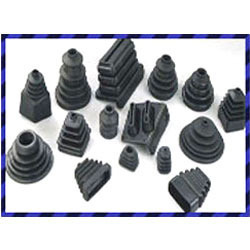 Gained prominence in the industry as a manufacturer, we are engaged in providing Rubber Packings. Incorporating modern machinery and latest technology in the manufacturing process, we aim to meet the voluminous demands of customers in efficient manner. Leveraging on our vast distribution network, we are able to meet the urgent demands of customers on-time. Looking for Automotive Rubber Parts manufacturer ?